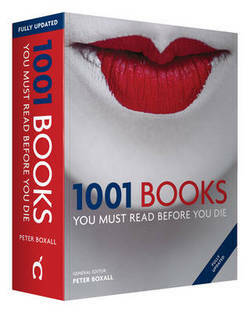 Whenever I’m not quite sure what to read next, I find it helpful to choose something from Peter Boxall’s 1001 Books You Must Read Before You Die. To view all the ones I’ve reviewed, click on my 1001 Books to read before you die tag. Alternatively, check out the list below. The reviews are arranged in alphabetical order by book title — hyperlinks take you to my review in full. This page will be updated as and when I review titles from this book. It was last updated on 27 March 2019.